Shortly after I left my previous startup, which I cofounded in 2013, I started pondering on some of my good and bad experiences. And, one thing I realized is that their is a recurring pattern in the way I communicate , collaborate and lead others. I found many patterns are conducive to my teams growth and where I struggled to provide better results. These patterns have lot to do with, how I feel and think and therefore I engage with my teams. Many of it was subjective, therefore I felt it will be good to objectify the emotions, and how they are pursued by others in my team. This quest had lead me to a very interesting journey in human pschyology and organization behavior. 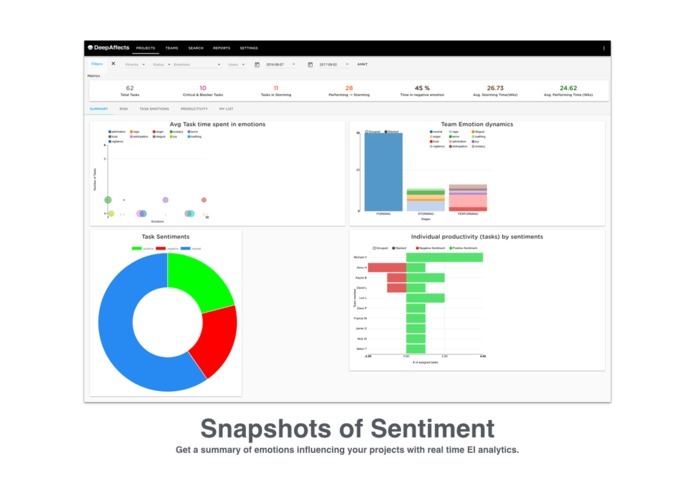 Thus born my new startup idea, Emotional Analytics to manage people and projects, DeepAffects. 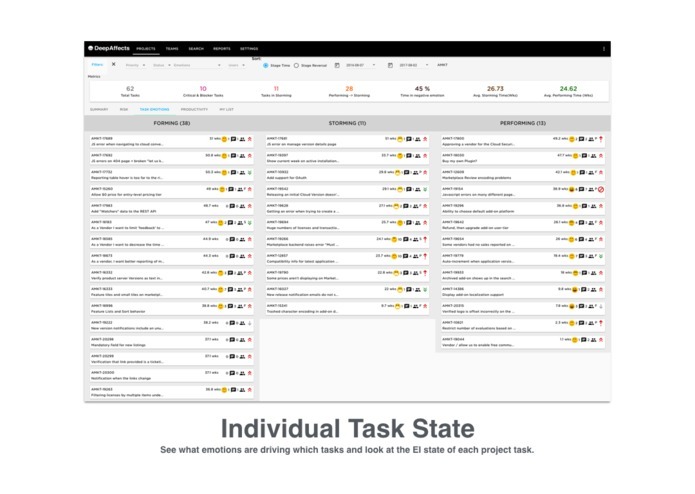 I am applying the artificial intelligence to traditional project management, and extract the emotional insights to predict at-risk tasks, team dynamics, productivity, conflicts, trust and happiness. Using AI (Artificial Intelligence), Deep Affects extracts data from text, video and audio files in communication channels, collaboration tools and project management software. Deep neural nets are used to craft models molded by principals of Neural Management Methodology. 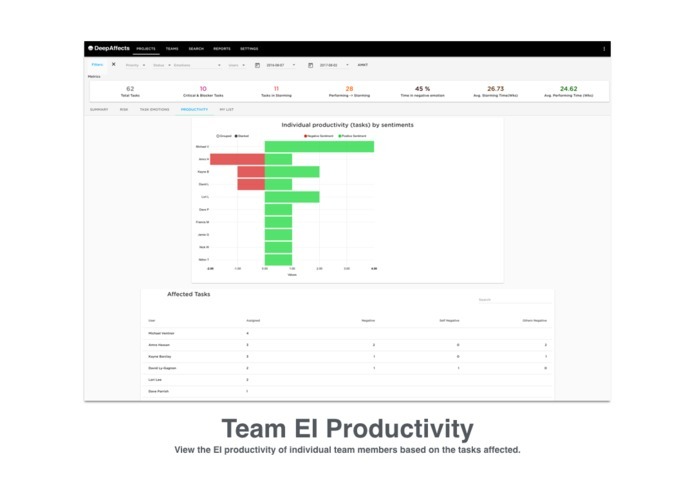 The resulting outputs come in the form of a dashboard, alerts, recommendations and APIs. AI is built using Tensorflow, web application is NodeJS, and search and aggregation supported by ElasticSearch. AI is very promising technology. But, the application of AI/Deep NEURAL networks to text data is tricky. It needs a large corpus of data and training the model is challenging. We have built multiple DNN based models to predict Agreement-Disagreement, Emotion etc in conversation. We are working on deep integration with Atlasssian products such as HipChat, Confluence, BitBucket etc.